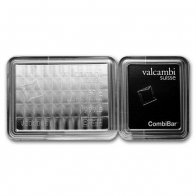 Valcambi has one of the most diverse ranges of palladium bars available to investors, including their most popular Valcambi combi bar which available in 50 gram size in palladium. 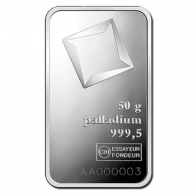 Valcambi palladium bars are recognised worldwide, and all bars have a minimum fineness of 999.5. 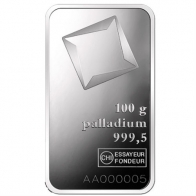 Valcambi also manufacture Credit Suisse palladium bars on behalf of the bank. 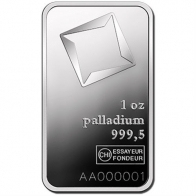 All Valcambi palladium bars are available for VAT-exempt storage in Zurich, Switzerland or for delivery.